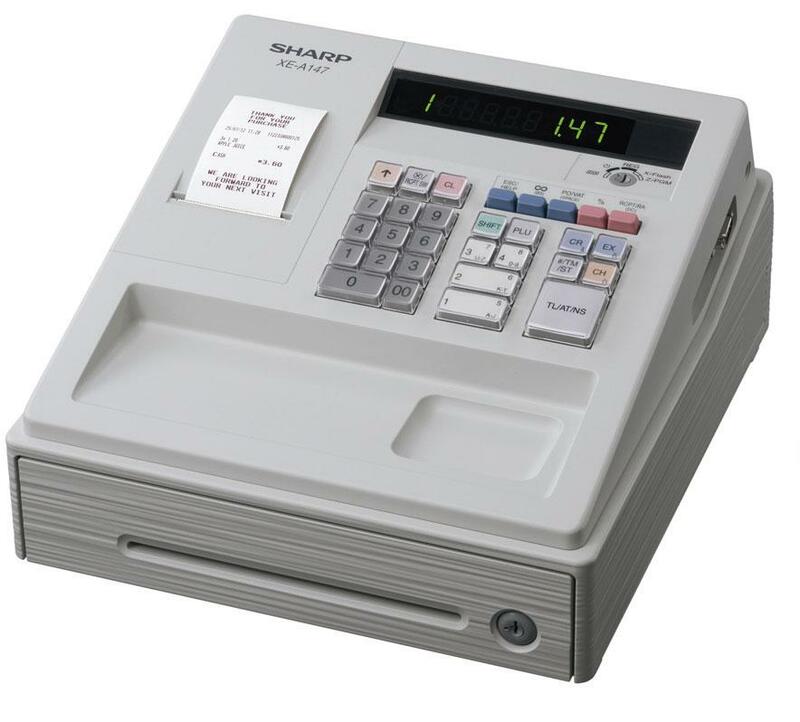 The Sharp XE-A147 is a small form factor cash register for those who require a minimal footprint on their counter top. With its bright, easy to read LED display and its simple operation the XE-A147 is ready to go with a minimum of training. The thermal printer in this machine allows the user to print receipts containing their company name, address, phone number and G.S.T. number. The format of the easy to read receipts will display department or PLU names, date and time, payment type and G.S.T. content of the purchase. The XE-A147 is an ideal machine for small businesses that require a simple and easy machine with basic reporting.